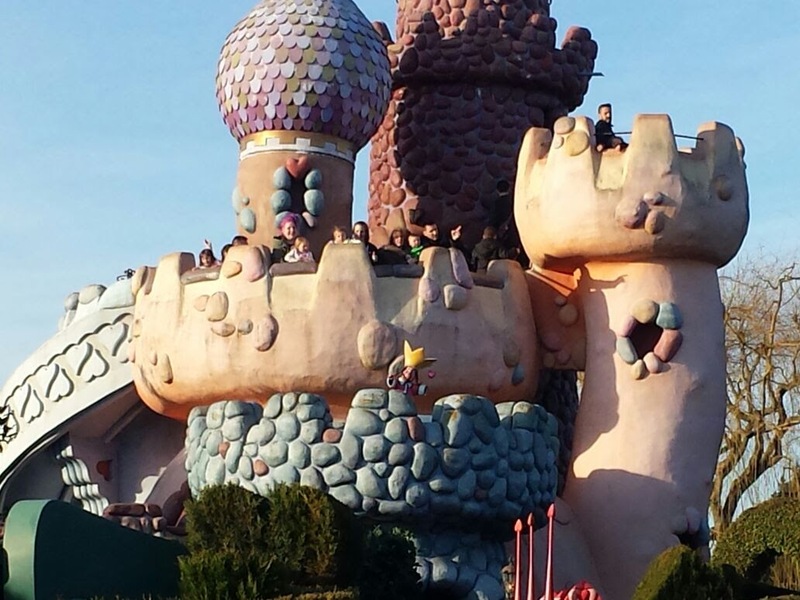 So it’s been a while since we visited the mouse! Yet watching our YouTube video (which can be found below) me and Kairi are still saying ‘wow’ and I’m welling up with happy tears! 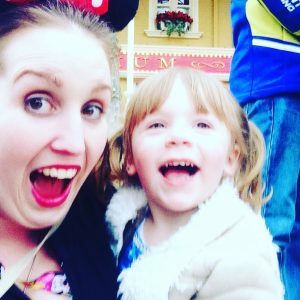 I thought I’d write about our experience to help parents who are considering taking little ones to Disney… My verdict DO IT! 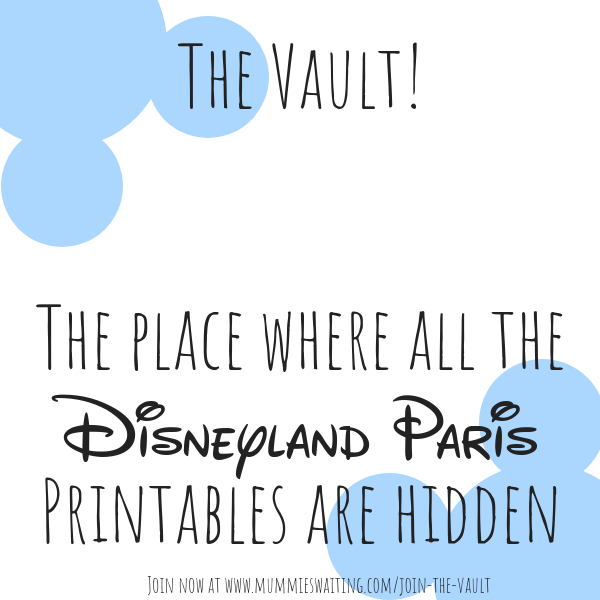 You can also check out our 21 secrets you didn’t know about Disneyland Paris and 21 Hacks to do before visiting Disneyland Paris. 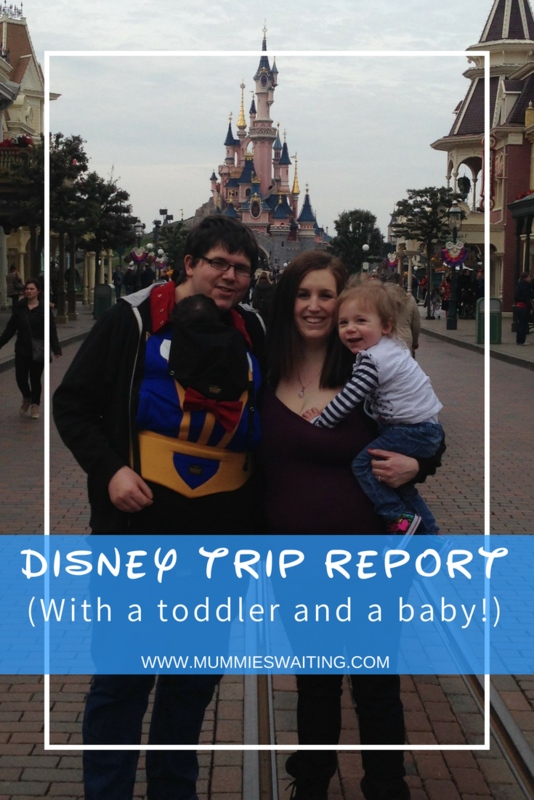 Disneyland Paris trip with toddlers and a baby! Sunday 8th March to Friday 13th March. Me, Ryan (husband) and our 2 girls Kairi and Naminé (23 months and 7 weeks). 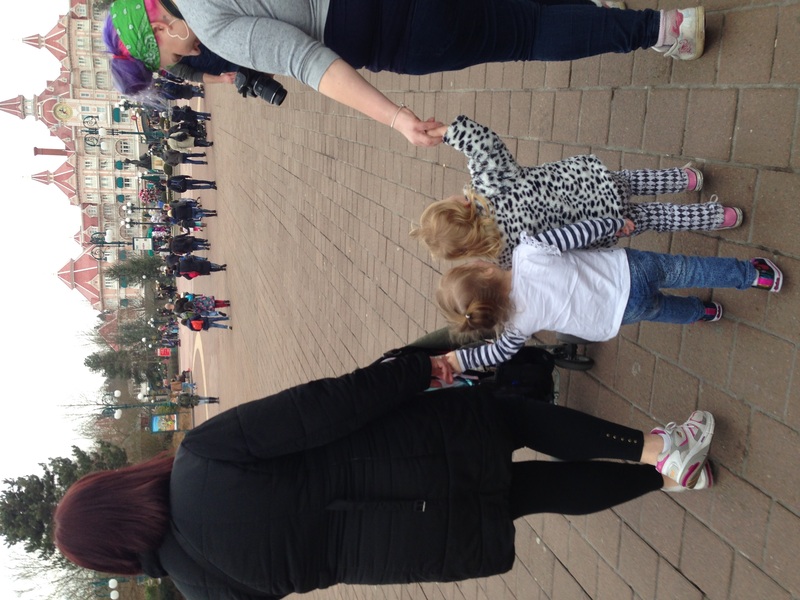 My mum, my sister and my niece (2 years + 2 months) also came. We stayed at the Santa Fe for 4 Nights. (Monday-Friday) with an overnight stay at the Travelodge in London on the Sunday before. Sunday – we left at around midday (after what seemed like years of waiting!) and got on the train from Great Yarmouth to London. The journey was pretty smooth, it was a pain having to change at Norwich and Cambridge, but it wasn’t too bad. We arrived in London and checked into the Travelodge, the power went out in 1 of our rooms, so half our party was moved and we got free breakfast! We ordered pizza for dinner which was a nice treat to end a long day. We got up early and had breakfast, walked down to the Eurostar and checked in. It was so easy. We boarded the Eurostar (we were premier class as it was the same price!) and had a nice ‘breakfast’ (however it was nearly lunch by the time it came!) We had croissants, jam, butter, frusli with yogurt and a roll. Drinks were Orange juice, tea and coffee. 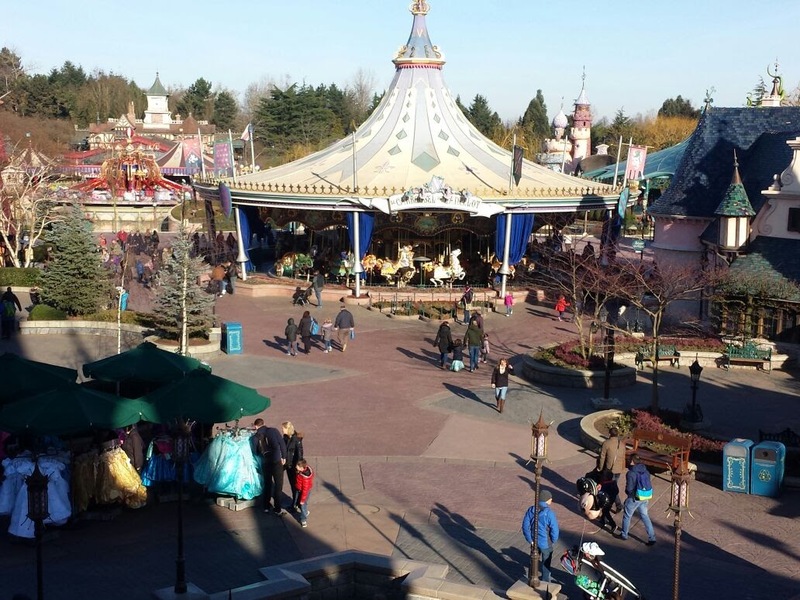 We arrive at Disney Land Paris just after lunch and used Disney’s magical express (Which is a service that takes your bags to the hotel for you letting you get straight into the park!) We went straight to Magic Kingdom guest relations to sort out our disability passes (1 green and 1 orange, for temporary and permanent disabilities) we also asked about the haircuts at Dapper Dans but were very disappointed when we were told that they were only for Boys! (Catch up with the times Disney!) While everyone grabbed the famous ‘picture in front of the castle’, I popped into the shop to purchase our photo pass, which is very worth the money. We managed to get quite a few rides in and at 6pm we sat down for our first meal which was at Blue Lagoon. It was the first time we had eaten there and it was amazing. The food was perfect and the atmosphere was great, we all enjoyed watching the boats pass by while we tucked into a wonderful meal. We finished our meal by boarding Pirate of the Caribbean (we walked straight on!) When we got out it seemed dead, we checked the time just and just as we did, the fireworks went off, we couldn’t believe it was that late already! As we were tired from our long day and couldn’t really get a good view of the fireworks from where we were, we decided to try and beat the crowds out (but failed!). As we knew the busses would already be packed, we went into the world of Disney Store where we brought our daughters’ first gifts. 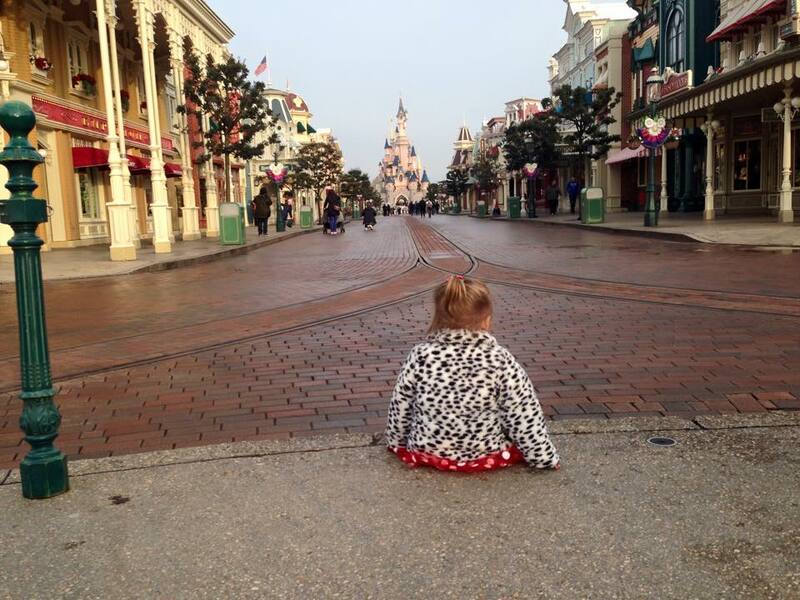 (The plan was to leave her a surprise every night from ‘Minnie’ to wake up to!) As soon as we got back, we went to check into our hotel, the Santa Fe and with our luggage already there, it made a very easy check in! Entering our rooms we found gifts! (3 Mickey teddy’s on the beds, a box with tea, coffee, biscuits etc and some chocolate coins.) It was such a lovely touch and a wonderful end to the day. Once the girls were asleep, I unpacked and Ryan chilled out watching Disney channel (we are really missing watching Hannah Montana now!). Just before bed, we set up Kairi’s present from Minnie Mouse for her to find in the morning. (It was a Minnie Mouse buggy and a baby Minnie which we had bought at world of Disney). Unfortunately, with the excitement and magic of Disney, she awoke and found it at 3:30am and started playing with it! But we didn’t mind we were on holiday and it was fab to see her so happy. 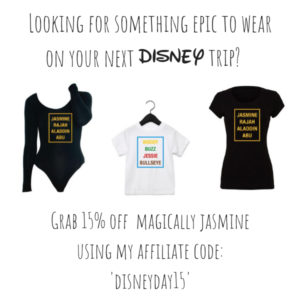 I got up at 6 and after 3 days, I finally made the Extra Magic Hours! It was just Myself, Ryan and the girls and we managed to meet Minnie and Mickey, took some amazing photos on main street and did the tram ride to the castle. 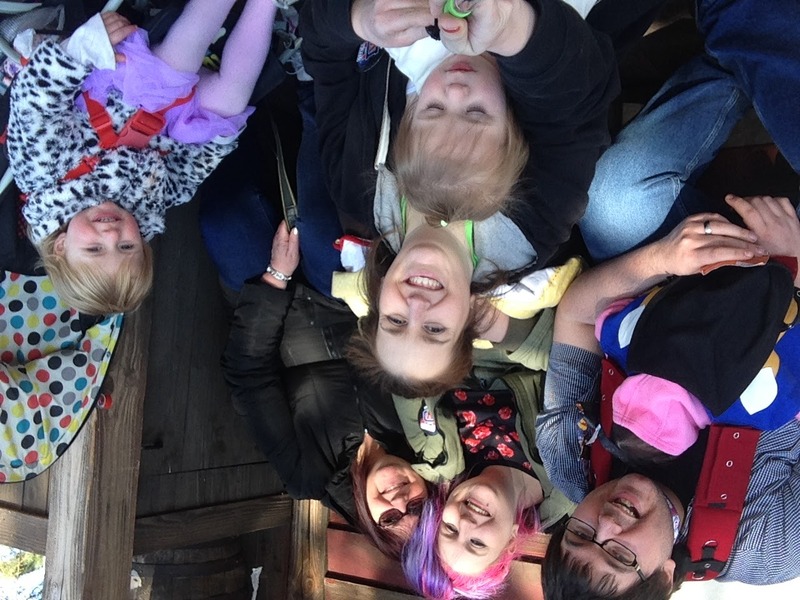 At 10am we hopped over to Studios to meet mum, Vicki and Lilli. Ryan was really tired and we were worried about him having a seizure so he went back to the room for a rest/sleep (better to miss a few hours than be out for the rest of the holiday!) So we managed to get quite a few more rides done, especially in Toy Story Land while he was away. Ryan met back up with us for dinner at 4pm at Walts. We bumped Into Ash again, who was also eating there, had a quick chat and then went up. Walts is one of my absolute favourites (Now paired with Blue Lagoon) the food and service are both fantastic and being above main street you get a wonderful view (which if you’re in there at the right time means you can see the parade!). Once out, we caught the parade and enjoyed the rest of our day in Magic Kingdom before taking a stroll back to the room, rather than the bus. It was our last day, so again we got up early again to make the most of it, which was a good job as the checkout baggage queue was huge! 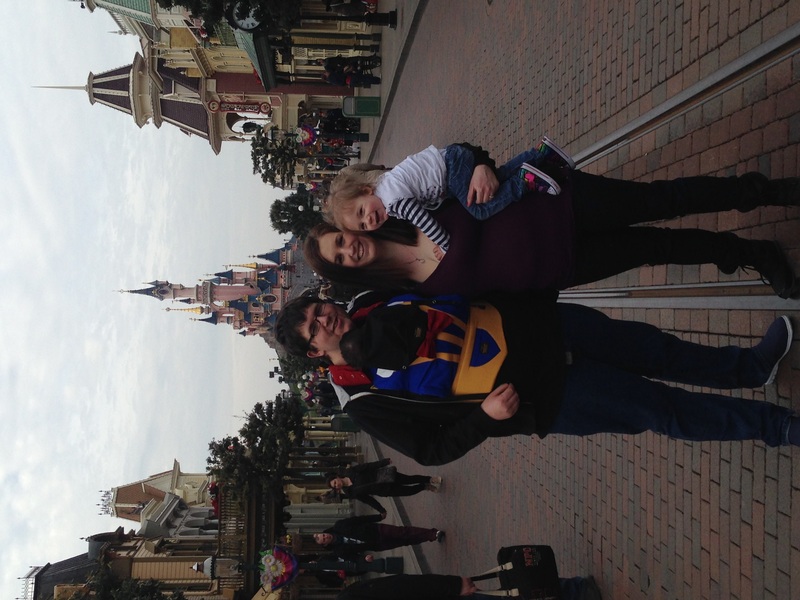 We checked in our bags (unfortunately they wouldn’t take our balloon or buggy!) got straight to the park. Monday (On check in day) we had asked about the special overflow breakfast in the park and were given tickets to eat in plaza gardens. The food is basically the same as the hotel breakfast, but it was really nice to enjoy the view and relax. We finished our trip by watching Cinemagic and riding tower of terror (it was Friday 13th!). 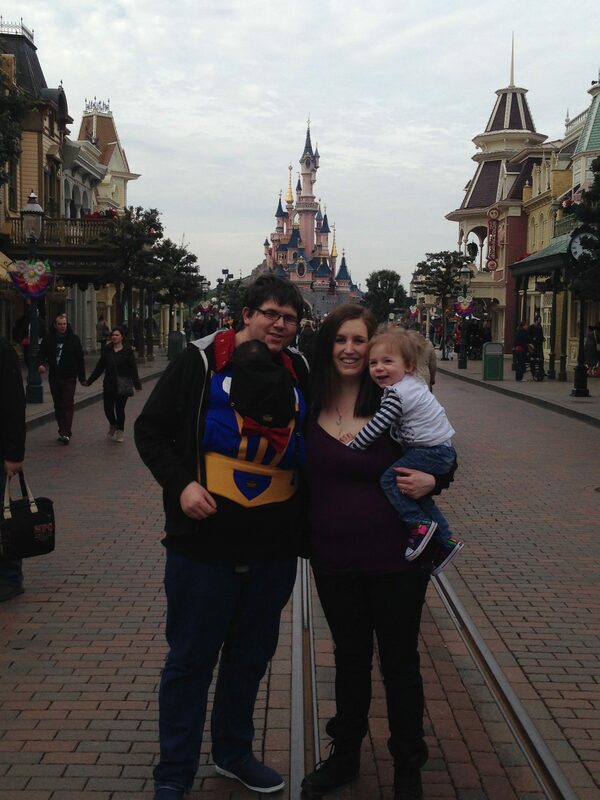 We waved the parks goodbye, shed a few tears as we left our home and checked into the Eurostar for our long journey back. We made it home at midnight, surrounded in Minnie and Mickey teddies! PAUSE GORMET VOUCHERS – We hardly used our pause gormet, its valid at what seem like the wrong time (it’s always too close to dinner) so like many others we saw at Eurostar, on the last day we used them all at 3pm just before we left the parks to get bottles of water and donuts for the journey home. (The other half of our party stocked up on earl of sandwich!) 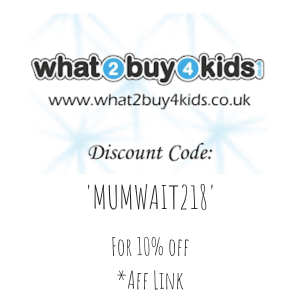 RIDES FOR UNDER 1’s AND TODDLERS – I would recommend taking any child over 1 there was so much they could do and they loved every moment. 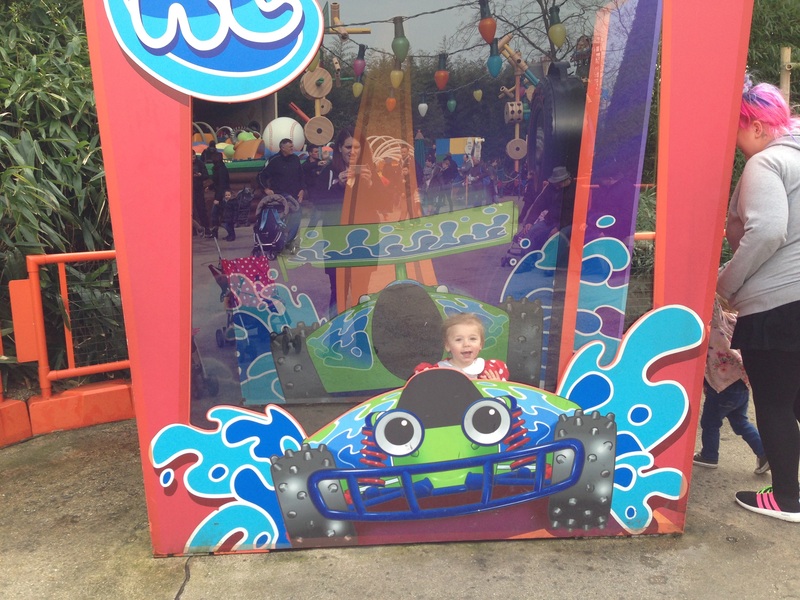 However under 1 was another thing, there were, of course, some rides she was not allowed on and others that they would tell us the risks and let us decide (I thought this was fantastic practice). If you do take an under 1, beware that at times, you will need a baby carrier to ride (luckily we don’t use a buggy, only a carrier, but it’s good to know.) 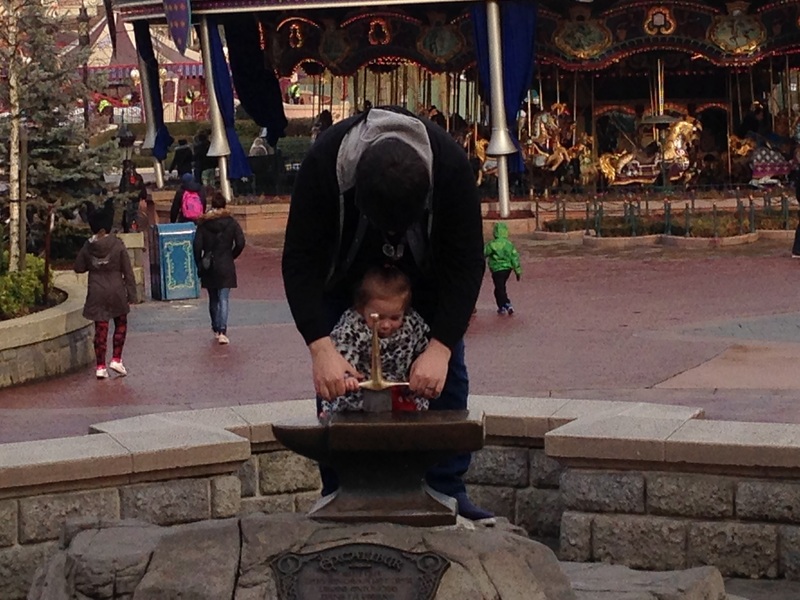 PHOTOPASS+ – I absolutely love this! We got nearly 100 pictures and they were amazing! I would recommend it to anyone. You can check out our whole trip video here and I hope you to have an amazing time. Happy planning!